We’re just in the midst of the holiday season, but five unexpected retailers are already wrapping up all the buzz on social media. They’re cornering the market on social conversations and ringing up an overall 26% rise in engagement and 170% increase in consumer actions this year. Shareablee Social Scorecard analyzed this seasonal surge to rank which major retailers had everyone buzzing and buying this season. MediaPost.com featured their list, which is worth checking twice. The rankings were based on the total number of social media shares, comments, retweets, and re-blogs received by each brand on Facebook, Twitter, Instagram, and YouTube. Nordstrom: a 119% leap in engagement since 2014 helped the retailer secure the top spot for the second consecutive year. Sephora: 1.5 million Instagram social actions earned the specialty store the second position. Industry experts were surprised that specialty stores like Nordstrom and Sephora rose to dominate this year’s rankings, rather than the expected mass merchandisers like Target and Walmart. 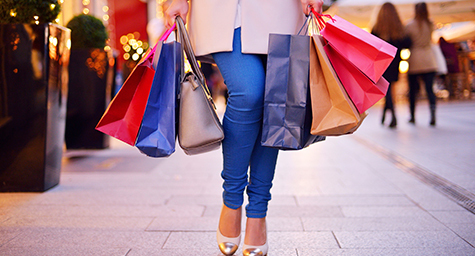 Does Social Success Rings in Holiday Sales? While there remains debate about the relationship between social media engagement and sales, many marketers believe that a brand displaying outstanding social performance has the digital and social strength needed to perform very well in e-commerce. It serves as a sign that these retailers are setting themselves up for e-commerce success. In addition, marketers view social engagement as a gauge of consumer enthusiasm and approval, which have the power to drive more brand awareness and overall sales. See why retailers are buying into the power of social media. Contact MDG Advertising.